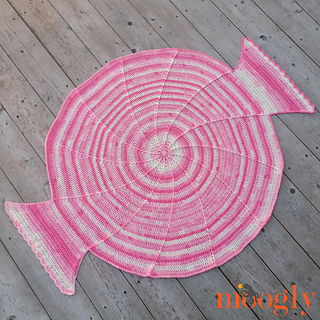 The Hard Candy Baby Blanket is fun, bright, easy to crochet, and a super soft extra cozy treat for any little girl or boy! 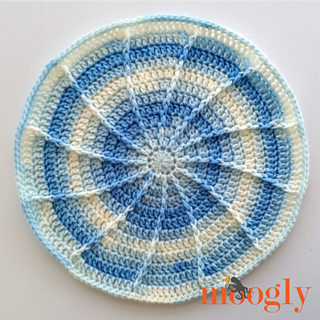 The Hard Candy Baby Blanket looks like a pretty swirly wrapped candy, and I made the whole blanket with just one ball of Lion Brand’s Ice Cream Big Scoop! This is a big gorgeous 10oz ball of yarn, so if you can’t find the Big Scoop version then you can use 3 balls of the standard size Ice Cream.